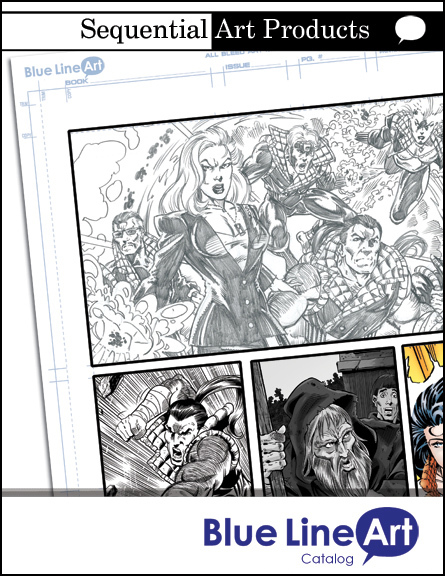 Blue Line Art offers Manga artist a quality comic board to the standard set by the manga community. 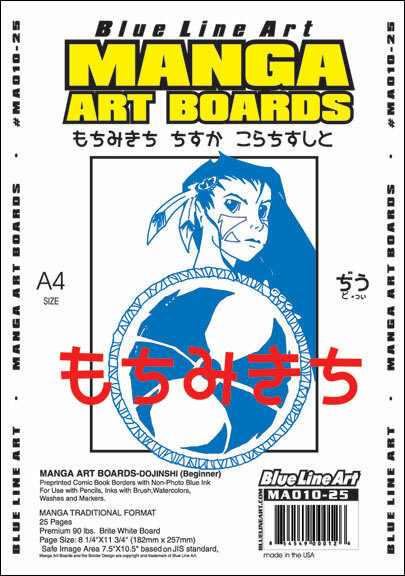 A4 formats is based on JIS standard Manga Traditional Format Page Size: (A4) 182mm x 257mm (8 1/4”x11 3/4”), Drawing Size: 150mm x 220mm (7 1/2″ x 10 1/2″) considered a Beginner art board. 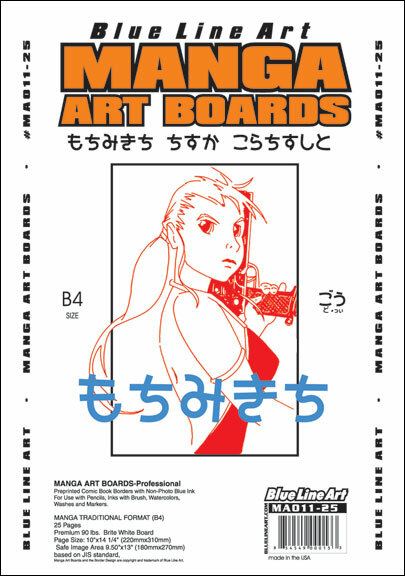 B4 formats is based on JIS standard Manga Traditional Format Page Size: (A4) 220mm x 310mm (10” x 14 1/4”), Drawing Size: 180mm x 270mm (9 1/2″ x 13″) considered a Professional art board. 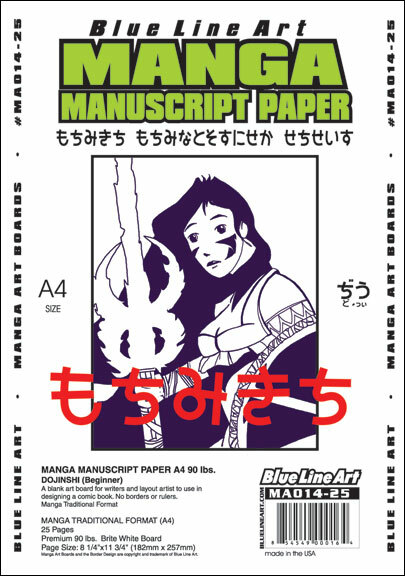 Manga Manuscript offers Manga Artist and Writers an blank page to write, sketch, layout and draw manga comics. Manuscript is offered in A4 and B4 formats. 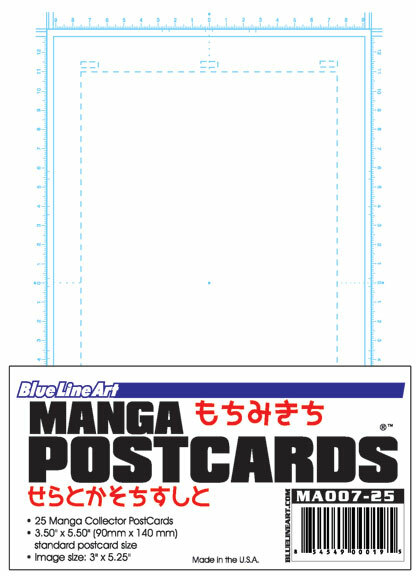 Manga blp Sketch PostCards offers Manga Artist to draw collectible art to sell and trade.